A beautiful tiny house on wheels to liven up your life with some vibrant colors! 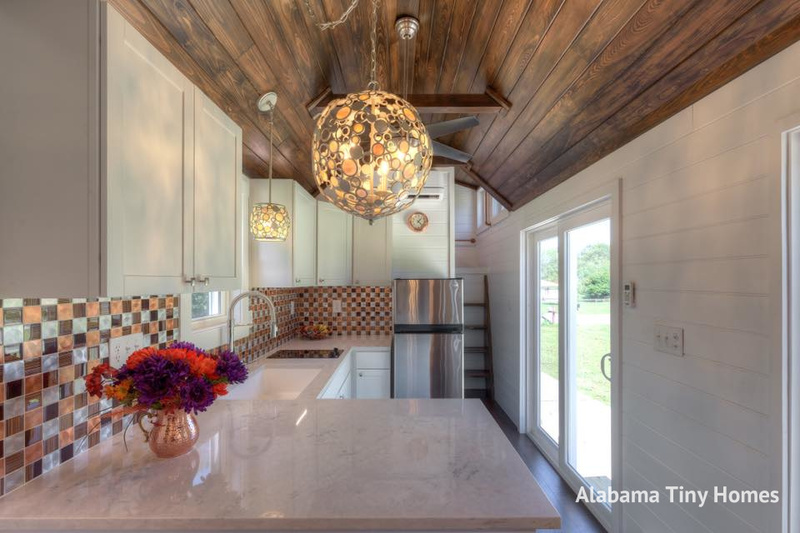 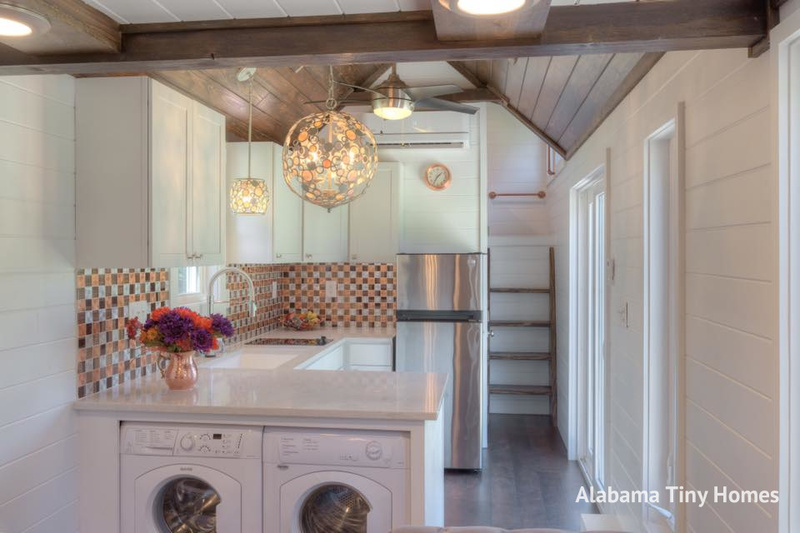 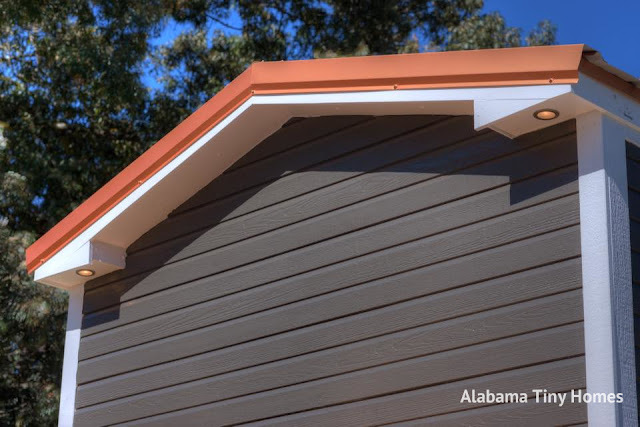 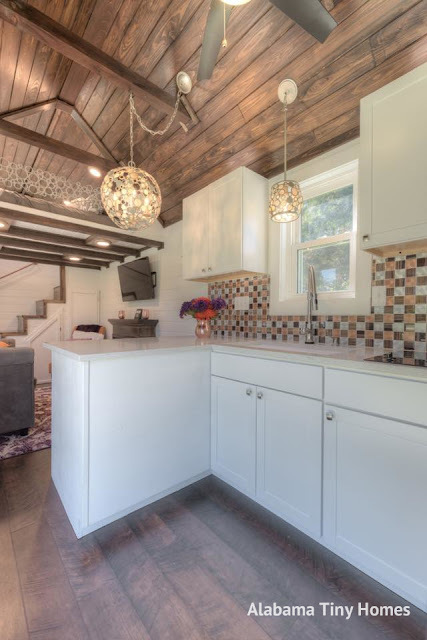 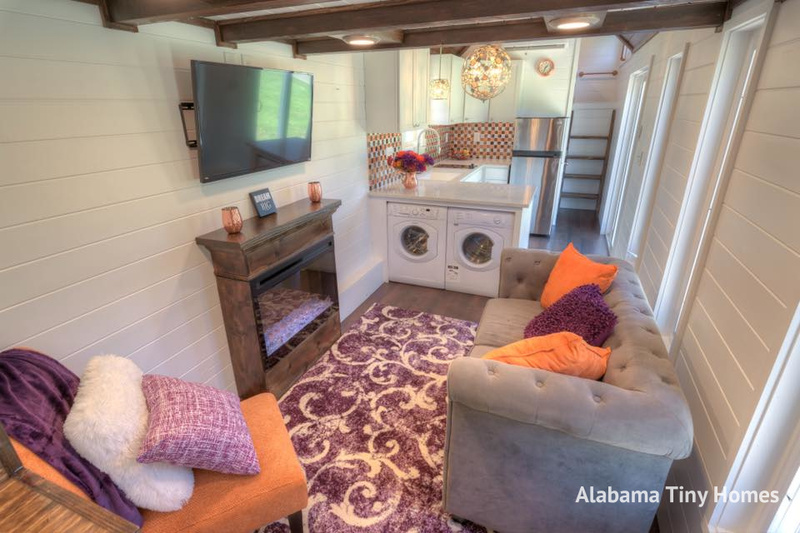 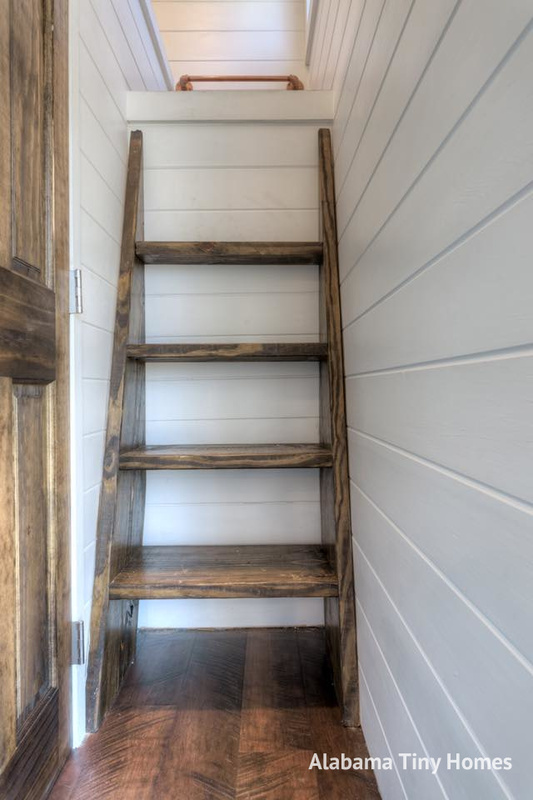 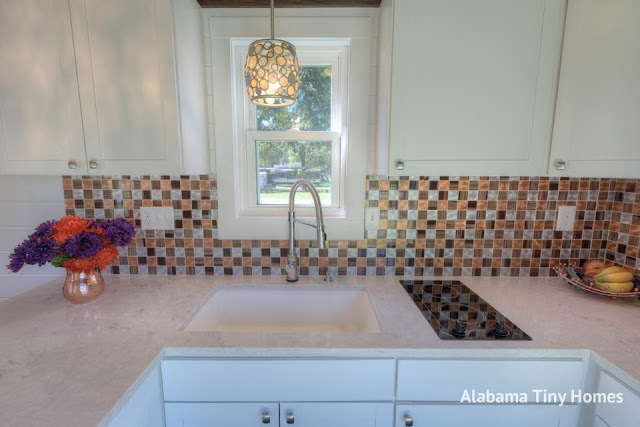 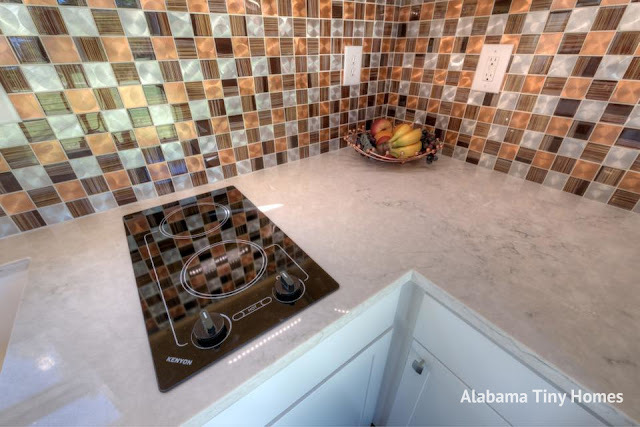 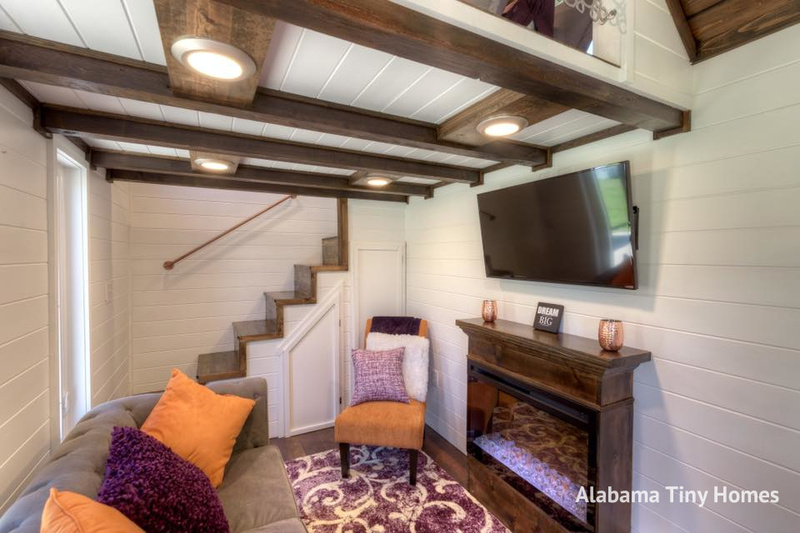 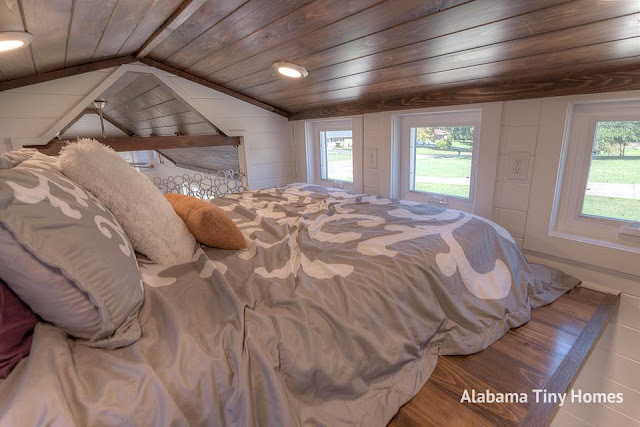 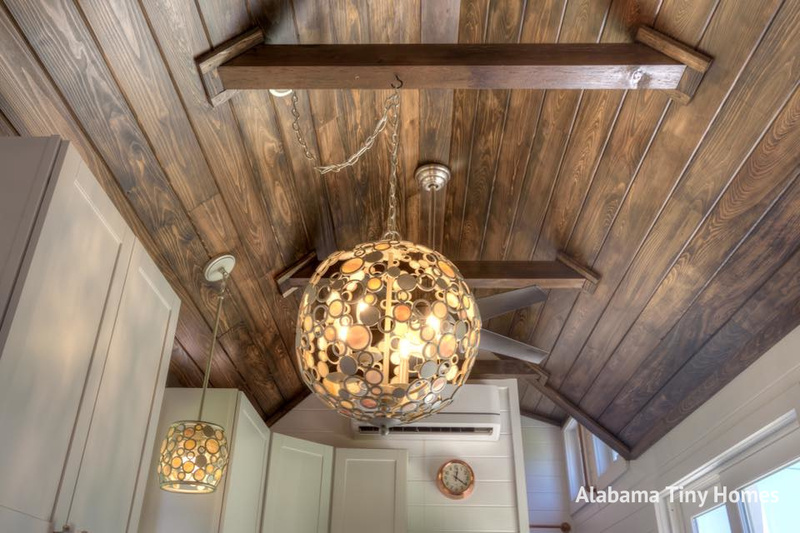 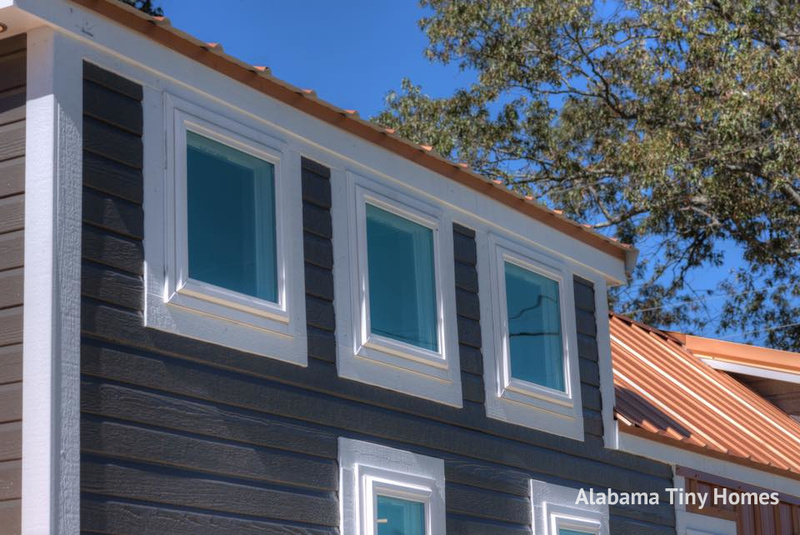 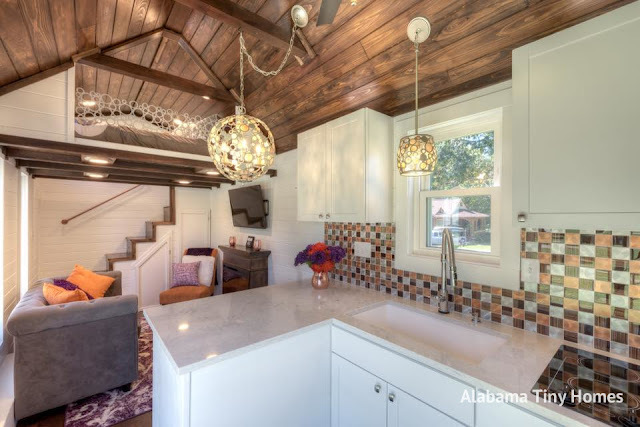 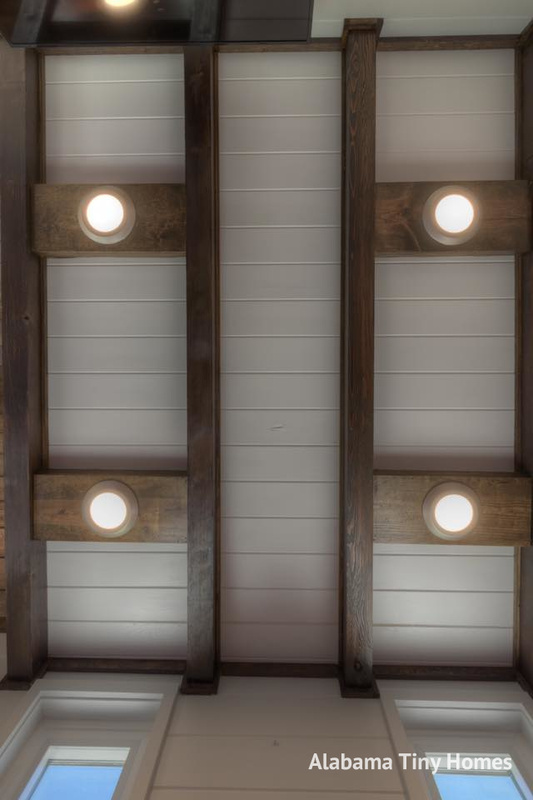 Designed and built by Alabama Tiny Homes, the home features a beautifully designed interior with a functional layout. 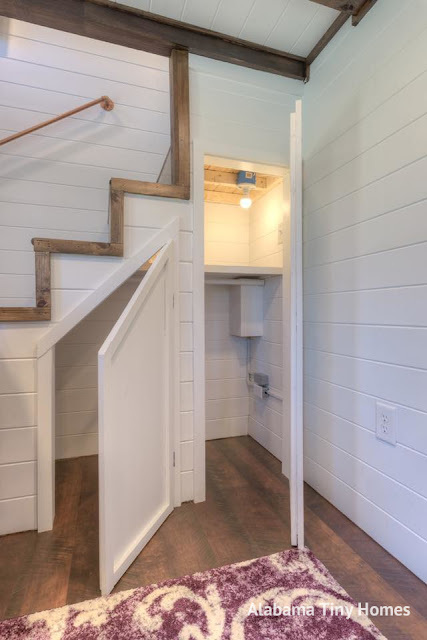 Named "The Trinity", the house features two bedrooms- both accessible by stairs. 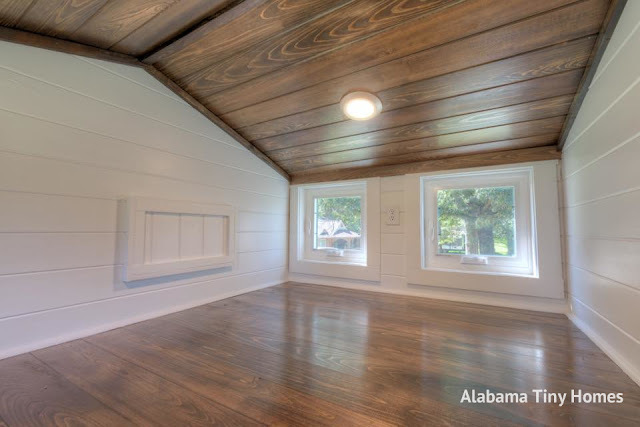 There's also a relativley spacious living room with a fireplace and TV. 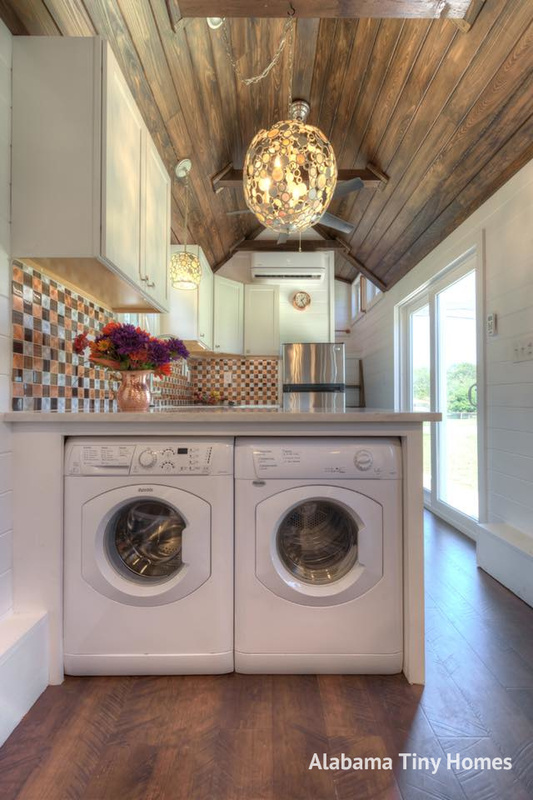 The kitchen of The Trinity features an L-shaped counter with a washer and dryer underneath. 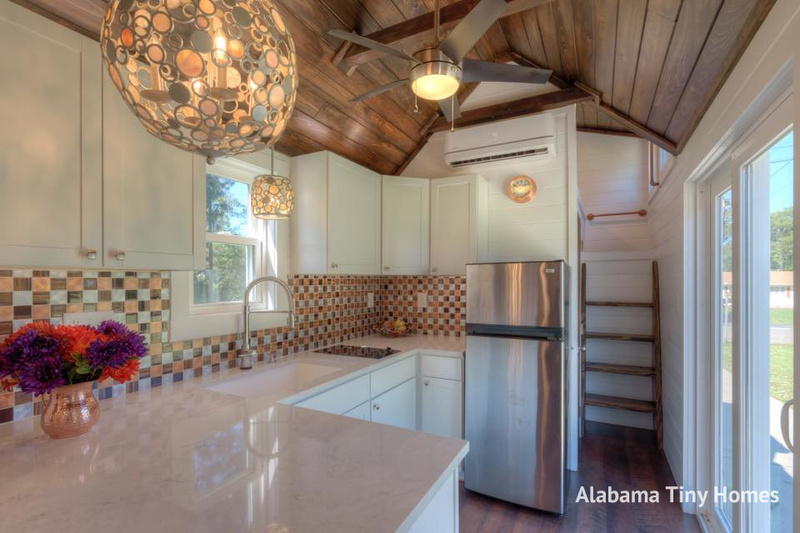 There's also a fridge, two-burner cooktop, and plenty of cabinet space to store your belongings. 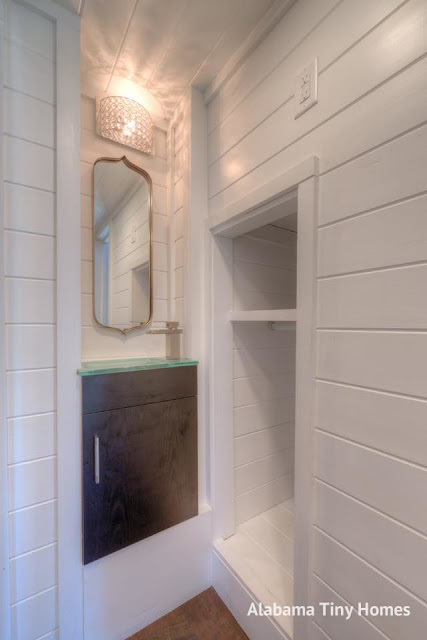 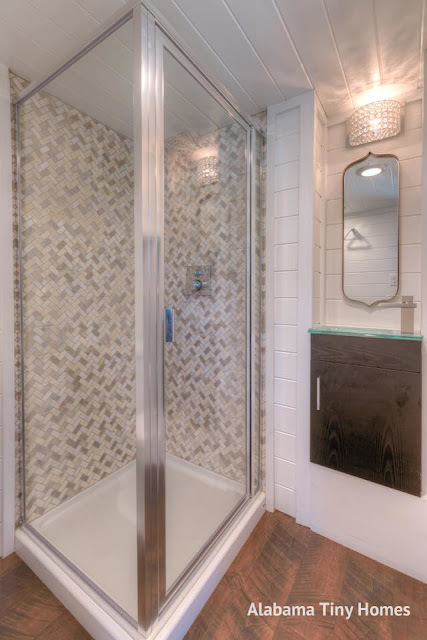 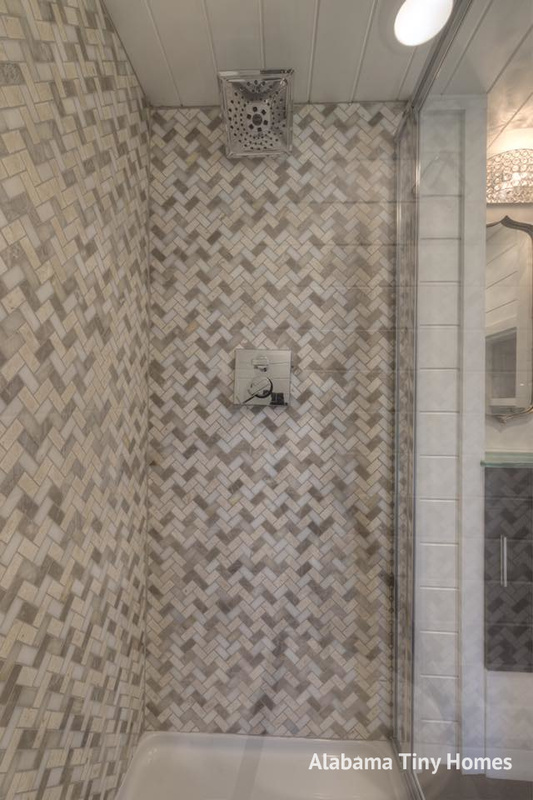 Also included in the home is a bright, modern bathroom with a toilet, shower, sink, and storage space. 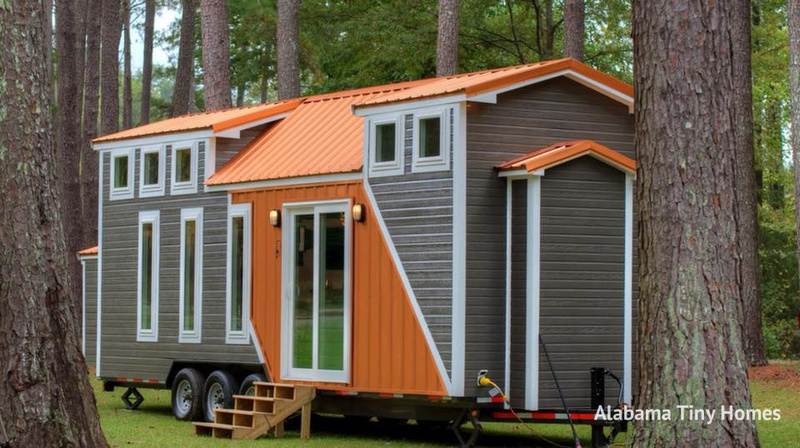 Pricing for The Trinity starts at $69,000. 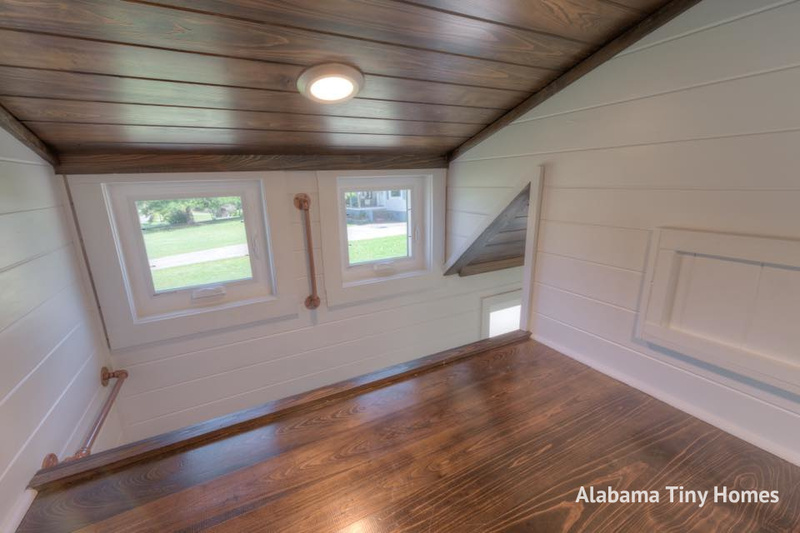 You can contact Alabama Tiny Homes here!